Cases involving social media giants such as Twitter rarely come before the courts, particularly those involving posts by anonymous users, so we were interested to read the decision handed down by Pembroke J last week in X v Twitter Inc  NSWSC 1300. 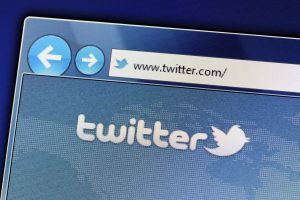 The plaintiff company sought final injunctive orders against Twitter Inc and Twitter International Company (collectively, Twitter) after its confidential information was published on the platform without its consent. The publications were in the form of ‘tweets’ posted from four different accounts by an unknown user, which the plaintiff alleged was motivated by malice, who seemed to have had access to the plaintiff’s financial records. 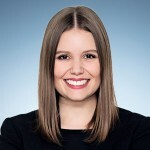 Pembroke J found that the court had jurisdiction to hear the plaintiff’s claim because the injunction “sought to compel or restrain the performance of certain conduct by the defendants everywhere in the world” and this included Australia . Therefore, it did not matter whether or not Twitter “submitted” to the jurisdiction. This case is significant because the court made orders compelling and restraining the performance of certain conduct by Twitter, despite the fact that some orders were of worldwide effect and that Twitter had stated that it was not feasible to conduct proactive monitoring for offensive material. Therefore, this decision could have ramifications for other worldwide social networking platforms, such as Facebook and Instagram, who regularly facilitate the posting and/or uploading of content. The decision also has potential ramifications for social media users who post offensive or harmful content anonymously, as it suggests that, in serious cases, the identity of these users could be disclosed. This is very relevant for other social media platforms too, like Facebook, Tumblr and even blog sites. X v Twitter Inc  NSWSC 1300, .